MCCRACKEN COUNTY, Ga. -- Police in Georgia are investigating a dangerous prank on the road that could have led to a serious injury. 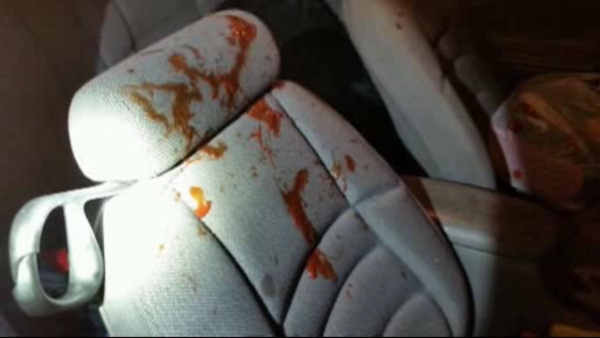 Police say someone threw a ketchup bottle from a moving truck at a car as it passed in another lane. The bottle shattered the window and crashed onto the back seat. The woman who was driving kept control of the vehicle, but says she was terrified for her 7-year-old son in the car. Police are taking the investigation seriously. They say the careless act could have had a tragic outcome.